The Leviton QuickPort is a revolutionary new design that enables you to have several different types of adapters, such as a telephone jack and cable TV coaxial cable all in the same Wallplate. The versatility of this this system will make your life easier with the ability to use any of the wide variety of adapters made for this system. 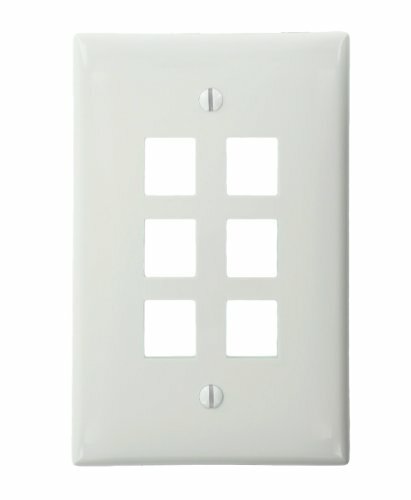 With technology moving so quickly and requiring new built in adapters, your walls could become cluttered with a series of different wallplates, but with this new solution you can have all of your wiring go through a single wallplate. You can create a highend professional look for your home or office in minutes. The smooth finish of the highimpact plastic will last for years and will keep it looking great.